Given these statistics, many patients may be wondering what they can do to decrease their chances of developing cardiovascular disease or minimize the damage it may have already done. Taking an drug-free approach, chiropractors can advise patients about the best supplements for heart health. Here are just a few of the most common natural agents. Fish oil is perhaps the best known of all cardiovascular supplements for cutting cholesterol and improving cardiac health. Studies have suggested that the omega-3 fatty acids can cut triglyceride fat levels by as much as one-third.3-6 Patients can either increase their intake of fatty fish, such as cod or salmon, or take supplements. For patients who do not like the taste of fatty fish, a supplement may provide them with the omega-3 fatty acids that they need. 1 “Heart Disease Facts.” Centers for Disease Control & Prevention. http://www.cdc.gov/heartdisease/facts.htm. Published Feb. 19, 2015. Accessed July 16, 2015. 2 CDC. Million hearts: Strategies to reduce the prevalence of leading cardiovascular disease risk factors. United States. 2011. MMWR. 2011;60(36):1248-1251. 3 Web MD. “6 supplements for heart health.” http://www.webmd.com/vitamins-and-supplements/lifestyle-guide-11/supplements-heart-healthy?page=2. Accessed July 16, 2015. Reviewed July 7, 2015. 4 Palmer S. The top fiber-rich foods list. Today’s Dietitian. 2008,10(7):28. 5 Institute of Medicine. Dietary Reference Intakes for Energy, Carbohydrate, Fiber, Fat, Fatty Acids, Cholesterol, Protein, and Amino Acids. National Academies Press: Washington, DC. 6 Covington MB. Omega-3 fatty acids. American Family Physician. 2004,70(1):133-140. 7 Mayo Clinic. 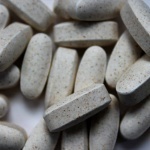 “Coenzyme Q10.” http://www.mayoclinic.org/drugs-supplements/coenzyme-q10/background/hrb-20059019. Updated Nov. 1, 2013. Accessed July 16, 2015. 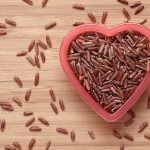 Do red yeast rice benefits outweigh the side effects?